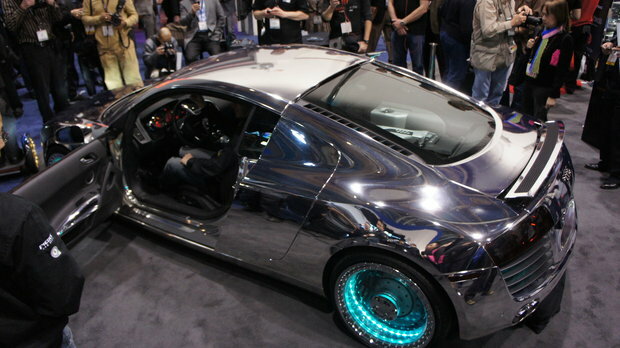 If you are a fan of the film Tron you will understand why this one is called the Audio R8 Tron by West Coast Customs. It is quite tricky how you will react to it. 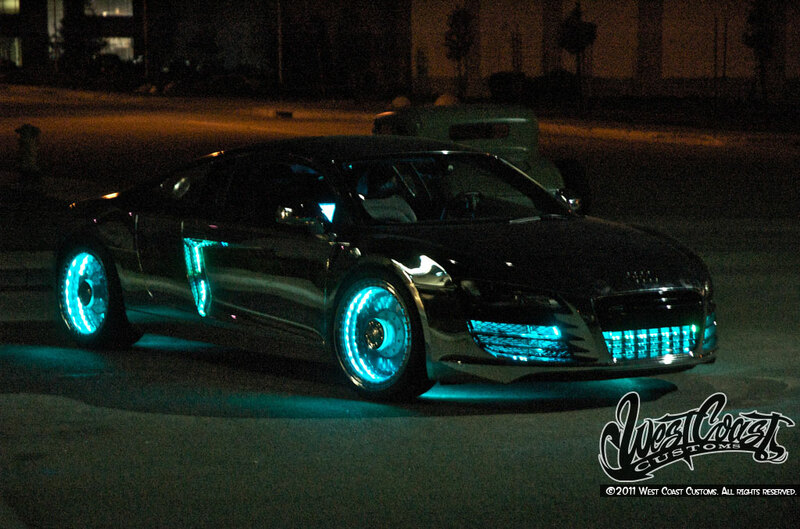 Some love its glowing wheels and some hate it that it makes them sick but we are here to offer some details so here they are. 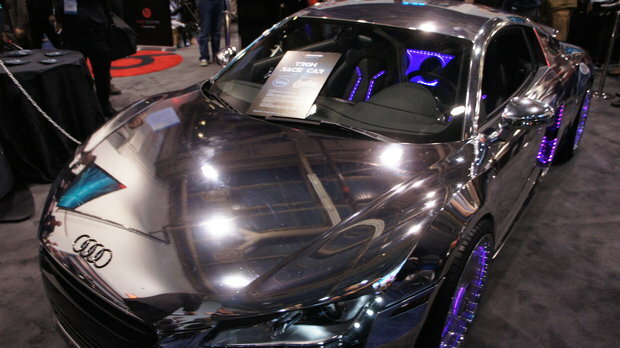 This Tron- inspired car features glowing vents, glowing rims, and the back seat is even glowing. 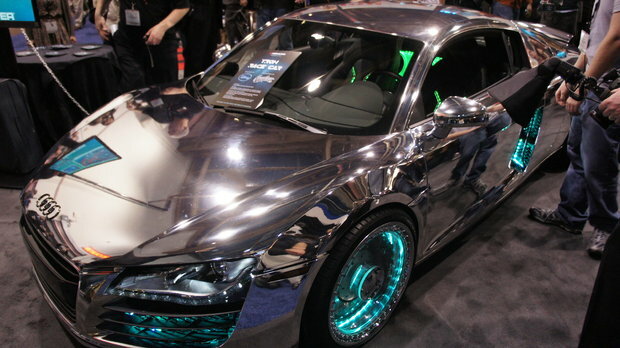 If glowing is not enough, think about it when you drive this on a hot sunny day, the incredibly shiny and bright chrome finish ,finishes the whole look. The features are probably best shot on a studio since it would be highly impractical to drive this model in the light of day or the light of the city streets.